Admission to various undergraduate engineering degree programs across India will be based on the Joint Entrance Examination (JEE). Admissions for undergraduate engineering courses at NITs and several other institutes (Govt. / Private) across India shall be based on the Joint Entrance Examination - JEE (Main). Merit list shall be created based on 40% weightage to class 12th marks and 60% weightage to JEE (Main). JEE (Main) has 2 papers, Paper-1 and Paper-2. Candidates can take Paper-1, or Paper-2, or both as per the admission they are seeking. JEE (Main) Paper-1 will be conducted in both offline mode (pen and paper based exam) and online mode (computer based exam) formats. Candidate can select either one of the modes. The exam is for 3 hours, consisting of questions of Physics, Chemistry and Mathematics. Candidates seeking admission to B.Tech./B.E. Courses will be required to give this exam. JEE (Main) Paper-2 will be conducted in offline mode only. The exam is of 3 hours consisting of Mathematics, Aptitude Test and Drawing Test. Candidates seeking admission to B.Arch./B.Planning will be required to give this exam. 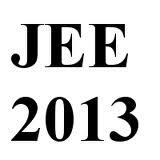 JEE (Main) will act as the gateway for JEE (Advanced). Only top 1,50,000 candidates based on performance in JEE (Main), will qualify to apply for JEE (Advanced). Admission for undergraduate engineering courses at IITs will be based on All India Rank in JEE (Advanced), subject to condition that the candidate appears in top 20 percentile of successful candidates in class 12th examinations. Fashion Designing is considered to be one of the most sought after careers amongst youth in India. 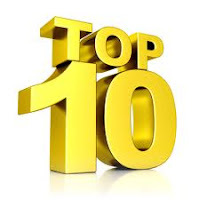 Here is the list of top institutes for fashion Designing in India, as per two surveys conducted in 2012. Paramedicine is a healthcare profession that deals with assisting individuals, families, and societies in achieving, re-achieving, and preserving optimal health. In recent times, paramedical sciences has emerged as an important pillar of medical sciences. An Acupuncturist is a health care professional who practices the ancient East Asian healing art of acupuncture. The Acupuncturist treats symptoms and disorders by inserting very thin needles into precise acupuncture points on the skin. An Athletic Therapist (Sports Medicine) helps in assessment, prevention, immediate care and rehabilitation of musculoskeletal injuries that occur during sporting events, athletic training, or any other form of physical activities. An Emergency Medical Technician (EMT) provides on-site emergency case, by responding to medical emergencies to provide immediate treatment for ill or injured people. The role of an EMT is to identify the nature of emergency, stabilize the patient's condition, and initiate proper medical procedures at the scene and en route to a hospital. Medical Assistant performs administrative and clinical duties under the direction of a physician. Duties include scheduling appointments, maintaining medical records and billing, preparing patients for examination, drawing blood, and administering medications as directed by a physician. Medical Lab Technicians (MLT) does tests by analyzing body fluids, tissues, blood typing, micro organism screening, chemical analyses, cell counts of human body etc. These tests help doctors to detect, diagnose and treat diseases.Medical Technologist (a.k.a. Clinical Laboratory Technologist) performs laboratory tests to help physicians detect, diagnose, and treat diseases. Medical Scientist or Researcher conducts research aimed at improving overall human health. Medical scientists study biological and systems to understand the causes of diseases and other health problems. Medical Transcriptionist transcribe (type into printed format) a dictated or oral report recorded by a doctor or physician during appointments or surgical procedures. After tying the report, medical transcriptionists review it and make corrections to grammar, punctuation, and spelling. Music Therapist plans and organizes music therapy activities which are designed to positively influence patients' psychological, emotional and behavioural status. Music Therapists help their clients improve their health across various domains (i.e. cognitive, behaviour, social skills, motor skills, emotional development, and quality of life) by using music experiences (i.e. singing, song writing, listening to and discussing music) to achieve treatment goals and objectives. Nurse provides care for injured, sick, disabled and convalescing patients in hospitals, clinics, nursing homes, private homes and other medical institutions. Duties include assessing patients health problems and needs, developing and implementing nursing care plans, maintaining medical records, and providing advice and emotional support to patients and their family members. Emergency Nurse provides advanced nursing care for patients in critical or coronary care units with acute conditions such as heart attacks, respiratory distress, or shock. Duties also include performing emergency medical procedures, therapeutic procedures, invasive diagnostics and pre/post operation care. An Occupational Therapist (OT) works with those who have physically, mentally, developmentally, or emotionally disabling conditions. This type of therapy is patient specific, involving recreational, creative or educational activities that include time management skills, homemaking, budgeting, shopping and use of public transportation.. Thus, an Occupational Therapist helps people learn to cope with daily life. An Optician helps in fitting eyeglasses, contact lenses, and frames for customer according to written optical prescription or specification from ophthalmologist or optometrist. The optician helps the customer decide which eyeglass frame or type of contact lenses to buy. An Optometrist performs eye exams to check for vision problems , eye diseases and impairments. The optometrist prescribes eyeglasses, corrective contact lenses and other eye treatments. An Orthodontist examines, diagnoses and treats dental malocclusion (misalignment of teeth) and other oral cavity anomalies. The Orthodontist designs and fabricates braces and other appliances to realign teeth and jaws, to help normal function and to improve appearance. Paramedic provides extensive pre-hospital care to sick or injured in emergency medical settings by responding to emergency calls, performing medical services and transporting the patient to the medical facility. Paramedic can give medications orally and intravenously, interpret electrocardiograms, and other complex equipment. Pharmaceutical Researcher is a scientist who works intensively on creating effective drugs for treating diseases. The researcher has a vast spectrum of knowledge from fields of biometry and statistics, chemical technology, endocrinology and pharmacology. Pharmacologist investigates and conducts experiments to find out how medicines interact with biological systems. The Pharmacologist undertakes vitro research (using cells or animal tissues) or vivo research (using whole animals) to predict the effect the drugs might have on humans. Podiatrist provides medical and surgical care for people suffering from foot, lower leg and ankle problems. The Podiatrist diagnoses illnesses, treats injuries, and performs surgeries to fix deformities of the human foot. Radiation Therapist is part of the oncology team that treats patients with cancer in healthcare facilities or cancer treatment centres. The therapist provides radiation therapy to patients as prescribed by a radiologist. Duties include - diagnosis, preparing equipment, providing radiation therapy, and maintaining records and reports. Speech Pathologist & Audiologist deals with speech, language and hearing impairments that disrupt the ability of the sufferer to communicate and interact in various social situations. Thus, a Speech Pathologist works on identifying symptoms of hearing loss, auditory balance and related sensory and neural problems; and provide a course of treatment by using remedial measures and rehabilitation strategies.